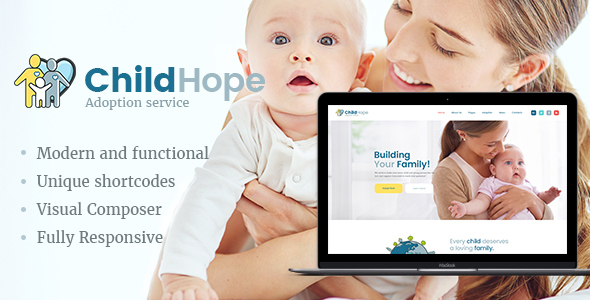 ChildHope is a modern and functional WordPress theme perfect for child adoption services and non-profit organizations. The theme is also a best choice for any charity, NGO, donations, foundation, fundraising or governmental social program website. The theme includes all the necessary theme features that your website could possibly need. ChildHope is compatible a bundle of premium plug-ins: Revolution Slider, Essential Grid, Events Calendar, Visual Composer, as well as WooCommerce if you wish to sell goods via your website. The theme is fully responsive and 100% Retina and SEO ready and fully supported with detailed HTML documentation.